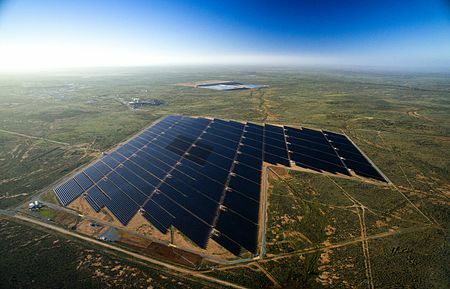 The latest Australian solar news and deals for the industrial, commercial and residential sectors. Premier Jay Weatherill has announced $100m for solar loans in South Australia. Up to 10,000 South Australian homeowners will be able to access up to $10,000 for loans for solar panels, batteries, or both. The loans will be interest free for the first 7 years. At the same time, German company sonnen has announced it will relocate its Australian headquarters from Sydney to Adelaide – we’ll report more on that next week. “It’s going to slash bills, we’ve already seen that with our virtual power station, modelling demonstrates a 30 per cent reduction in energy power,” he said. The Liberal party already announced a very similar policy last October so it looks like there’ll be a good result for renewables no matter who wins – it’s a little surprising to see Premier Weatherill offer something so similar when he has been such a champion of renewable energy for so long. Regardless, it’s a great scheme and one which will have a good result either way – South Australia continues to lead the charges with regards to renewables in Australia. “The reality is 10,000 is not going to shift the dial in South Australia in terms of prices, unlike the Liberal Party which has put our policy up for independent scrutiny and we know that prices will come down under the Liberal Party’s energy policy,” Mr Marshall said. “We’ve put our plan out for independent evaluation. Back in October last year the Liberal party said their plan will save $300 per household per annum, but later admitted their modelling was inaccurate and the savings will be around $70 and won’t start until 2022. To achieve that figure of $300 a $500m-$700m interconnecter to New South Wales would need to be connected by 2021. No word on specific savings with regards to Labor’s plan so for the time being voters will need to decide whether $2,500 for 40,000 houses or $10,000 for 10,000 houses is going to have a better effect on energy prices and stability. No doubt we’ll have more information on this as election time draws nearer! sonnen in South Australia – HQ, manufacturing plant. 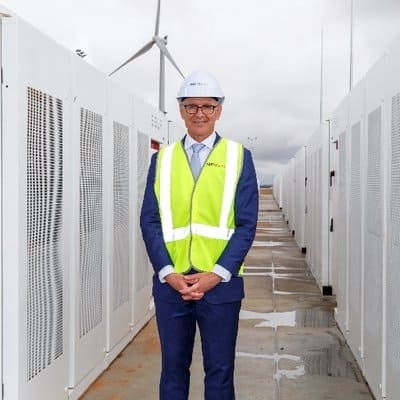 South Australian premier Jay Weatherill is on the campaign trail at the moment – promising to introduce Australia’s first renewable energy storage target (which the state will subsidise) and also upping the current state-based 2025 renewable energy target from 50% to 75% (given they’re already at 48.9%). He has promised to lift the renewable energy target to 75% and implement a renewable energy storage target which would be 25% of SA’s peak demand – approximately 750MW of storage. The government would help the private sector meet this target through subsidy arrangements. Carnegie Clean Energy reported yesterday that they have secured $3 million in government funding to build a 2MW, 500 kWh Battery Energy Storage System (BESS) at the General Motors Holden site in Elizabeth, South Australia. With the rapidly decreasing cost of large-scale energy storage, it seems that the Renewable Energy Storage target shouldn’t be too much of a problem and will be a massive help to baseline power and will also assist in reducing the blackouts which plagued the country in 2016. “This solar and battery project by Carnegie is part of a wave of new investment in South Australia we have leveraged through the $150m Renewable Technology Fund announced as part of our energy plan,” Weatherill said at the time. In further news, Weatherill has today announced that South Australian households will be able to apply for a $10,000 loan to cover the cost of installing solar panels and battery storage – which we’ll cover tomorrow. We partner with a small, hand-picked group of solar + storage installers, Australia wide. If you’re interested in seeing how much your property could save by installing solar please enter your details and we’ll be in touch. Would you like us to call or email you? I agree to be contacted by ONE carefully selected solar installer. SavingWithSolar will not sell, rent, or transmit your data to any further parties. Choose your state below to learn about how much you can save by switching to solar and battery storage. Bundaberg is the rooftop solar capital of Australia. Get The Latest In Solar Info, Tech & Deals!